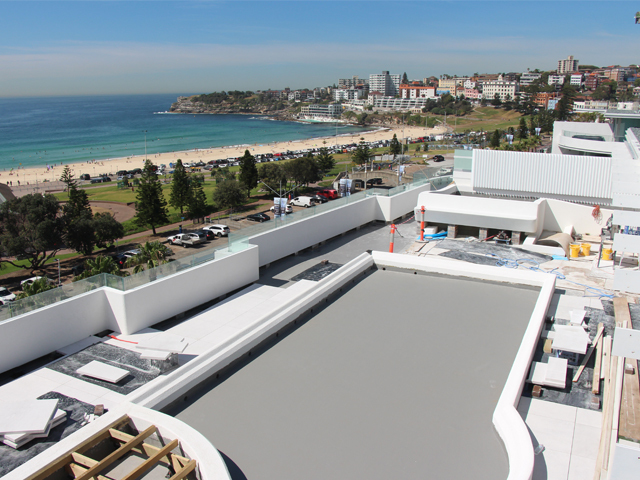 The Swiss Grand Hotel at Bondi Beach was transformed into a luxury residential and commercial precinct that required the lightweight, durable Buzon Pedestal support systems for the external paving and decking areas. 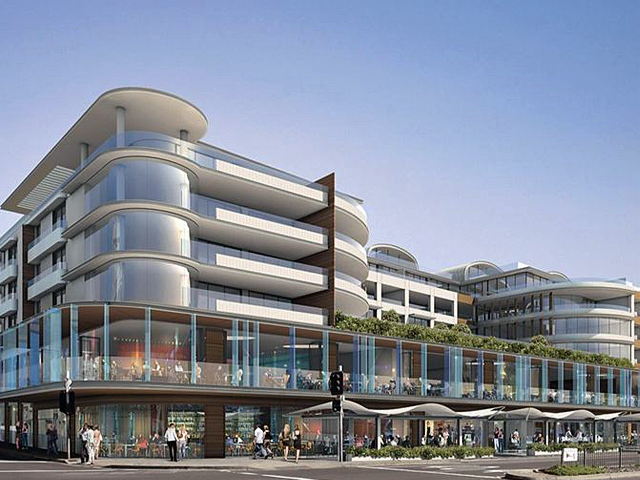 Ausdrain's Managing Director, Gerard Jorna, was contacted by the builder of the precinct - now called The Pacific - prior to the commencement of works on the penthouse to provide a lightweight, long-term and durable support system for the external paving and decking areas. 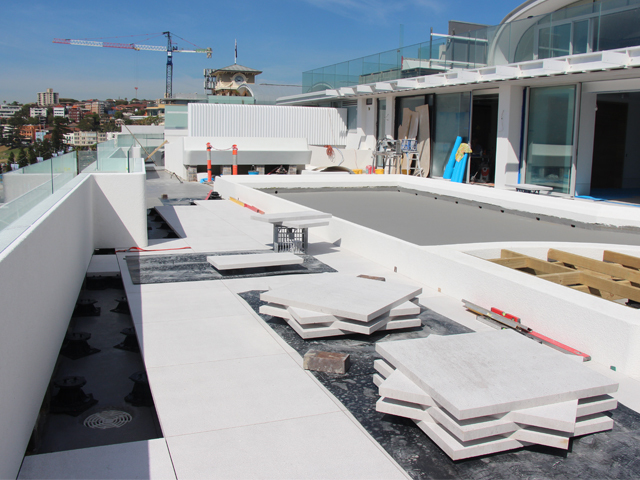 As the New South Wales distributor for Buzon, Ausdrain was able to offer Buzon Pedestals to support the paving and decking on the rooftop and balconies of the penthouse. 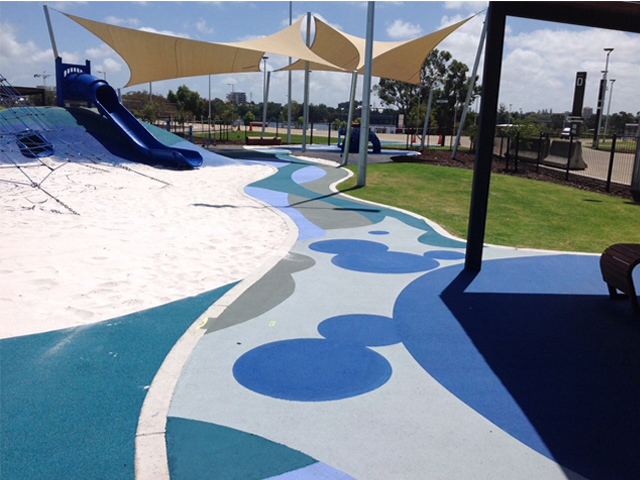 “There was quite a large degree of fall on the slab to ensure drainage efficiency,” Gerard stated. 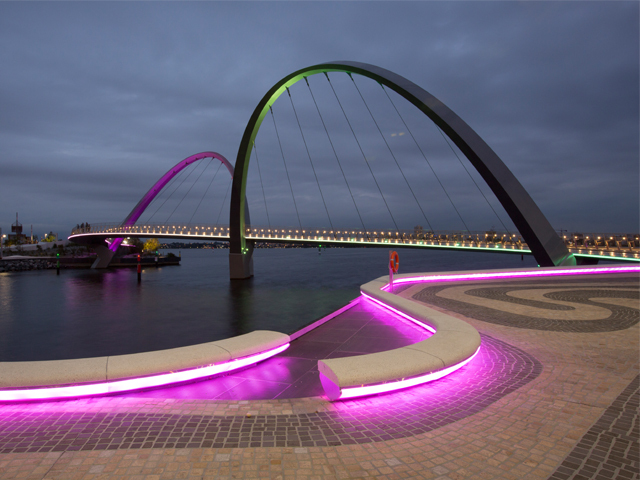 Supplied by Pasco Construction Solutions, a combination of Buzon DPH2 up to DPH8 were used to accommodate for the height differences, which ranged from 25mm to 515mm. 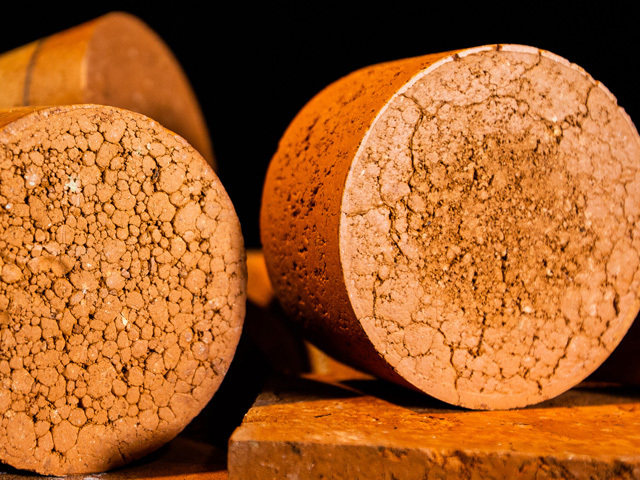 The patented, PH5 slope corrector provided the required adjustment for the fall, resulting in a perfectly level floor finish. 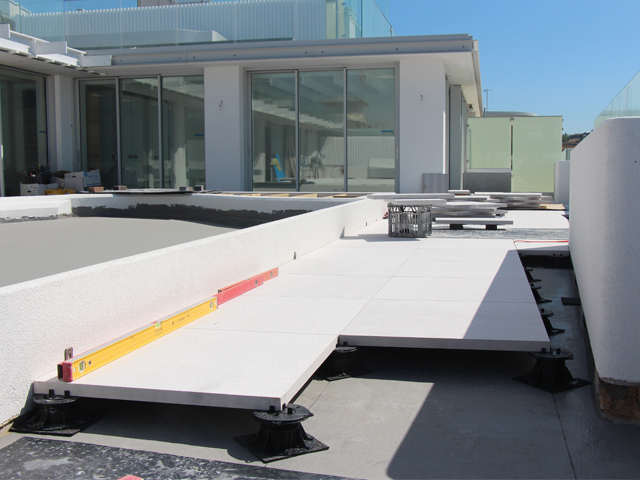 While the 600mm x 600mm pavers are considerably heavy, the Buzon pedestals provided peace of mind as the high load-bearing capability of the system and sufficient corner support for the pavers ensure long-term structural viability. 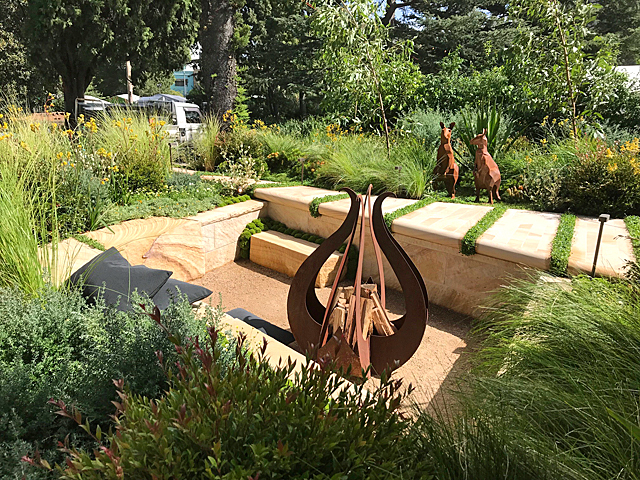 This is of particular importance as the outdoor spaces will often be used for entertaining a large number of guests. 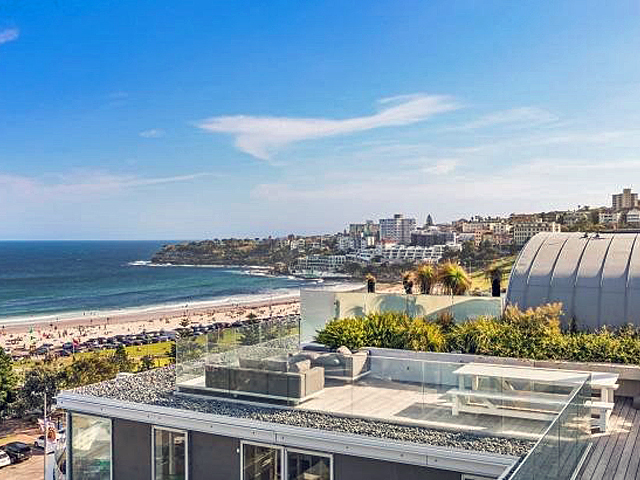 A combination of decking and paving on the terrace and rooftop of the penthouse contrasts with a central turfed area to create an elevated urban oasis with stunning, panoramic views of Bondi Beach. 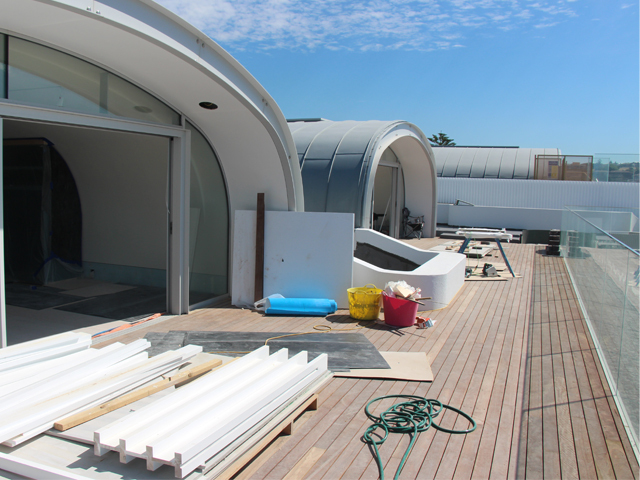 As the fitout of the penthouse was done post-construction, most materials had to be carried by hand in the lift to the penthouse. 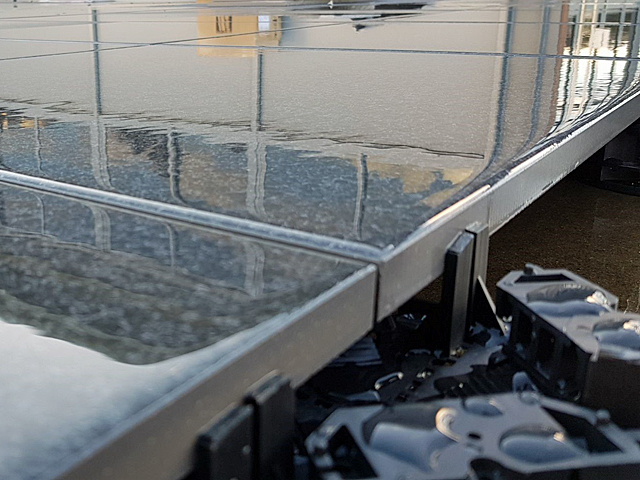 Ausdrain combated this by using individual lightweight boxes of Buzon Pedestals to be easily transported to the rooftop for installation. 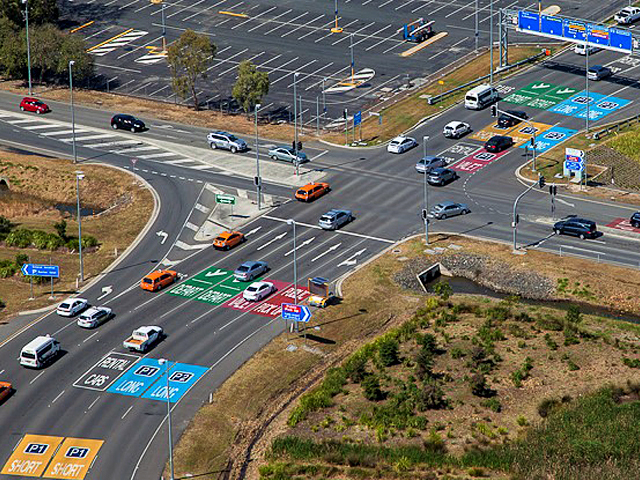 For further information or enquiries please contact Ausdrain on 1300 287 372.